When does physical discipline become child abuse? 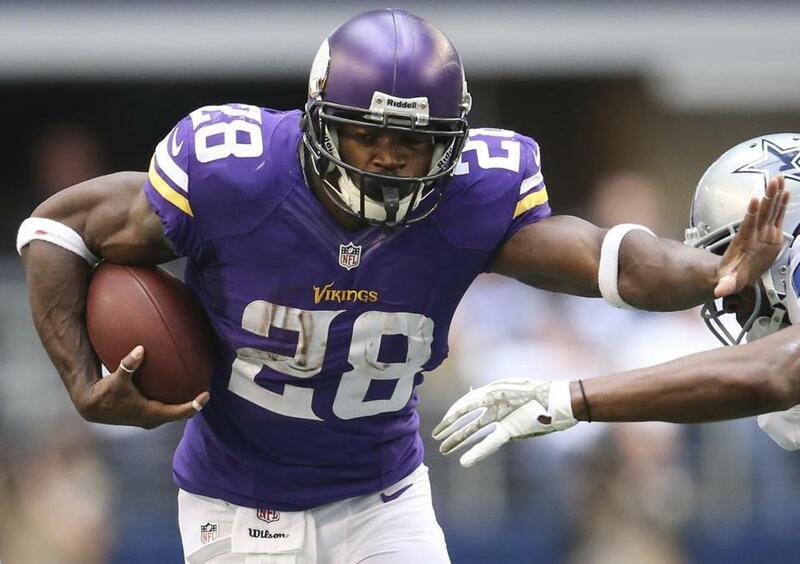 Adrian Peterson will be required to stay away from the Vikings while he addresses child abuse charges. Minnesota Vikings running back Adrian Peterson’s indictment on Friday on a child-injury charge has raised questions about whether any form of spanking or corporal punishment should be inflicted on children. Parents have the legal right to “responsibly discipline” their child in Texas — where Peterson was charged — as long as the force is “reasonable,” according to law professor Scott McCown, director of the Children’s Rights Clinic at the University of Texas School of Law. But any intentional physical contact that causes bodily injury or extreme physical pain to a child can be prosecuted as a criminal act. “Police won’t arrest a parent who spanks a child,” McCown said, “but if an injury requires medical treatment or leaves a mark, that could indicate a parent used too much force” and broke the law. States have differing laws on what constitutes acceptable punishment and what qualifies as abusive behavior. Some, like Massachusetts, don’t specify that parents can responsibly discipline with a physical punishment, which could be interpreted as less tolerance for corporal punishment. “Each state defines physical abuse differently, and ultimately there should be a thorough investigation,” said Ira Lustbader, litigator director at Children’s Rights, a New York-based watchdog organization that advocates for abused and neglected children. “The facts in this case should be dealt with straight up and without regard to the circumstances,” such as Peterson’s celebrity status. Charges against Peterson stem from a May incident during which he punished his 4-year-old son by repeatedly striking him with a tree branch. After looking at photos of Peterson’s son’s injuries, McCown, a former judge who handled child abuse cases, said “it’s reasonable” that Peterson is being prosecuted. The photos show several angry red welts across the boy’s back. Corporal punishment in schools is still legal in 19 states, including Texas where Peterson grew up. Teachers and administrators typically bend a child over a desk and strike them three or more times on the buttocks or upper thighs with a hand, wooden paddle, shaved-down baseball bat, or taped-together rulers, according to a 2009 American Civil Liberties Union/Human Rights Watch report. It also found that nearly a quarter of a million children received corporal punishment in schools in the 2006-2007 school year and that nearly 80 percent were male. McCown said urban school districts in Texas have banned the practice but some rural districts still allow it — and a handful of teachers have been prosecuted through the years for inflicting too much force on students. Jail time for such offenses, he added, may not be necessary as long as parents or teachers get the counseling they need to stop the abusive behavior. Adults often don’t realize how much physical damage they’re doing by the strength of their blow. For this reason, McCown said it’s best to avoid corporal punishment altogether. That sentiment is backed by a large body of research suggesting that children exposed to regular spankings and other forms of physical discipline are likely to experience psychological and neurological repercussions over the long haul. A 2009 study found that young adults exposed to spankings at least once a month during their childhood wound up with significantly less gray matter in the prefrontal cortex of their brain — responsible for higher reasoning and decision-making — compared to those who didn’t get spanked or whipped. Other studies have shown that such childhood beatings raise the risk of depression, aggression, and drug or alcohol addiction in adulthood. Such therapy sessions can be extremely helpful in motivating parents to stop the physical abuse, said psychologist David Adams, codirector of Emerge, which offers a variety of domestic violence treatment programs in the Boston area. Emerge offers a “responsible fatherhood program” that involves 12 weekly sessions in group therapy to improve parenting skills and find alternatives for corporal punishment. Most of the men who join the program were physically abused by their own fathers and have internalized their father’s perspective that beatings are the correct way to respond to misbehavior. They learn how to adapt an authoritative style of parenting — where rules and limits are explained and a child’s feelings are taken into account — instead of an authoritarian one, where a parent is never questioned. Once parents learn the alternative way to set limits and the long-term damage that physical punishments have on their child, they’re usually willing to change their behavior, Adams said.